Ian Brodie has a degree in mathematics and was once a magician in his spare time. And yet, he’s now a leading expert in email marketing whose book Email Persuasion is one of the best. With a degree in maths, Ian had the option of becoming an accountant or working in IT. So he started off working in research and development for IT firm ICL, and along the way received various promotions. Those promotions led to him being sent off to study business, in order to improve his project managing skills. However, as a result of his MBA, he fell in love with marketing and strategy. It changed what he had previously thought of marketing as, and decided that was something he wanted to do. So he worked for consultancy agencies who helped big global companies, until in 2007, he set up his own consultancy business. This enabled him to control his own focus, as well as have to commute less. 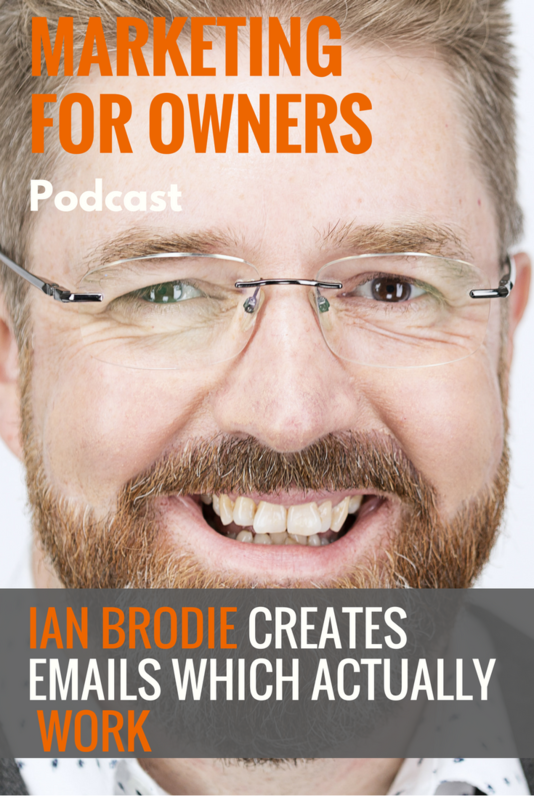 Ian is going to help us find our ideal customers when starting out, and how to use email to its full potential in your business. When Ian started consulting by himself, he was initially confused by who he should work with. Before he had worked with big businesses, and assumed that smaller businesses would want to know their ‘secrets’. It turned out they actually didn’t, and more importantly, didn’t want to pay the same prices either. However, that’s when he realized he should instead draw from his experience marketing consultancy firms to help other consultancy firms. That information was valued a lot more by his clients. Back when he hit that first barrier, he stopped to think about it, rather than continuing on regardless or giving up completely. You need to have experience and expertise in the area so you can add value. Have enthusiasm about the area you choose so that you enjoy what you do. Ensure that the economics work out. 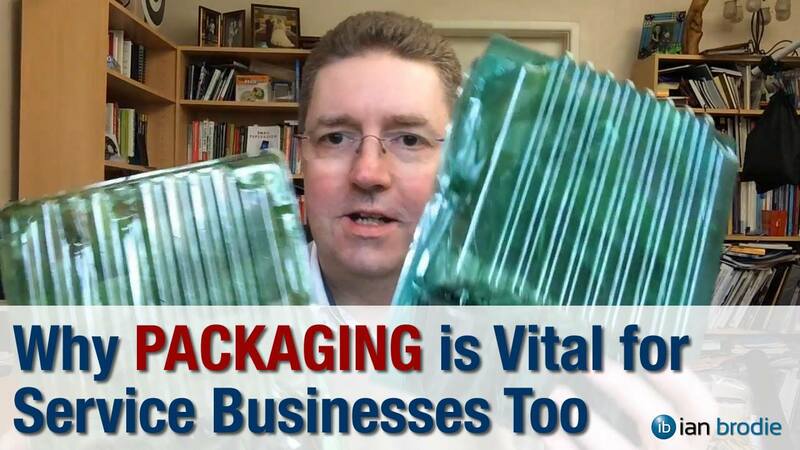 There need to be enough customers in your area for it to be viable. Ian didn’t have a list of markets which he went through, he just chose a market he’d been in before. And soon he found out that there weren’t enough local consultancy firms in order for him to solely focus on them. So he expanded his market horizons and found that service businesses, such as law firms, were similar and made his venture more viable. He made sure his niche was just large enough to work for him. Over time, as his business grew online, he has since found himself hone in on his niche again. This is as a result of being able to have clients who weren’t local without having to travel. But a problem which is often encountered by people starting out today is that they look to emulate the success other people have. And they see where they are now, rather than looking at the journey which got them there in the first place. Remember that when Zuckerberg set up Facebook, it was initially just for his University cohort. As Ian has gone online and learned about online himself, it’s also altered what he teaches. And that’s because he shared with people what works for him. Even when you remain in the same market, what works is always going to evolve over time. There is no point teaching things which worked 10 years ago, especially if they no longer work and you’re not doing those things yourself. Although methods may change, the main principles often remain the same. Unlike many online marketing experts, Ian isn’t a sales person. After all, that’s why he studied numbers and worked in IT. In order to succeed then, he has found methods which work for him. He’s someone who doesn’t have wonderful social skills and not comfortable talking to people. Plus he hates picking up the phone and hates rejection even more. So the way he markets allows him to stay true to himself without compromising on success and has found some basic principles which work for him. He likes to ensure he’s adding value in advance, nurturing relationships over time, and having a deep understanding of his clients. And it is these basic principles, which work for him and he teaches to others. Plus they show that it is still possible to excel in marketing without being an extrovert. When you find a way of being yourself, rather than having to maintain a persona, the audience can get behind your story, and it may well help to inspire others. Most of Ian’s clients are consultants who have a business which has an online presence but operates mostly in the offline world. And he finds there are two issues which he often hears from his clients when it comes to marketing their own businesses. Firstly, because a majority of their time is actually spent working with clients, they often don’t have the time available to put in place most of the tactics which are recommended. They may be fine for people who have all day to focus on marketing or benefit from a large team, but the everyday business owner is already struggling with time. It’s impossible for them to be everywhere and instead need compressed and focused marketing. They need one way for them to get in front of their target client. One way to build the relationship with them. And one way to convert them into paying clients. Rather than having five of each and trying to keep up with the latest fads, they need to better manage in order to avoid overload. Secondly is that they struggle with their lead generation. They can progress the relationship and convert them, but a headache comes with getting in front of them in the first place. There is a three-stage process to ensuring the emails actually work, and they need to all operate together. You need to make the first contact, via some form of lead generation. You need to build the credibility and trust for the relationship to grow into something beautiful before people are even ready to buy. Then you turn them into a paying client. In theory, it’s relatively simple. The best way of building a relationship with potentially thousands of people is through email. However, emails will not get people in on their own. You can’t just spam random people with emails and hope to get results. And content marketing is a good method of lead generation. Once they come onto your website and enjoy your blogs or videos, they’ll want more. And email doesn’t necessarily convert people into customers either. It’s completely reasonable that you need to lead them to other methods, such as meeting face-to-face in person or on Skype. So when you don’t have much time, you still need to have emails there for when you’re not. And by setting up autoresponder emails, an email will send as soon as someone signs up, delivering what you offered in return for their address. Then a series of emails work to increase your credibility and prepare them for making a purchase. It’s also good, after a week or so, to ask a question of them. What’s their biggest problem? By their nature, very few people will actually respond. And that’s okay as it just means they’re not ready yet. But some will. When someone does take the time to tell you their problem, it means two things. Firstly, that they trust you. But also that their problem is bothering them so much, they need a solution to it. And these people are really worth investing your time. When you understand your customers, you will know what they care about and what they find challenging, as well as their goals and interests. Talking about those subjects will mean they pay attention, otherwise, regardless of how well you write them, no-one will pay attention to them. But you also need to understand your business. That way, you can style your emails accordingly. The way you write an email for a product costing $100 to 20,000 people will vary greatly from a product costing $100,000 to 2 people. There’s no one way of emailing. Instead, you have to understand the fundamentals, and don’t be afraid of experimenting as you find out what does work. There’s no denying that the better you write, the more impact you’ll have. But that’s no reason to give up before you’ve even begun. To be successful at emails, you don’t need to be brilliant. For example, Ian’s email writing is much better now, but that in no way means he didn’t do well at the start. Practice makes perfect. Plus, it’s far more important to actually have something interesting to say. That may be a little something about your point of view on the industry. People will forgive you not expressing something correctly if they enjoy it. Let’s say you have 100 people. None of them will stick around if what you’re saying isn’t of interest. Perhaps 20 to 30 will when the writing isn’t perfect. And when you do express yourself better, with an engaging story, maybe 40 to 50 people will. And when Ian talks about being a better writer, he isn’t talking in the literary sense. Instead, it’s about telling stories, getting the point across clearly and writing like you talk. Too many words and it will put people off. When something looks easy to read, people are far more likely to read it. Too many banners will also put people off as it will immediately look like you’re trying to sell something. Most important of all is to always include a call to action. Get the recipients of your emails used to doing something every time your emails lands in their inbox. One day, they’ll then press that Buy button. You can visit Ian Brodie’s website and sign up to get the 21 word email that can get you more clients. That will then allow you to enter his marketing system, where he himself tries to earn credibility and trust as quickly as possible. There’s no better way of learning how to put together marketing emails than seeing how the best do it. Plus you can go to Email Persuasion to get even more free stuff and find out more about the book Jon describes as the best email marketing book around.